Yes, as I told you in my previous blog, I was in love. So I had decided to look for a job in Belgium to be able to live with my new girlfriend. I knew that eventually I was gonna go back to India to study and practice yoga, but that dream had to wait a bit. First we needed to establish our relationship. And so my life in Belgium began. This was in April 2007. I was very excited. It was all new to me. Living in a new country, in a different culture, and in the company of the girl I loved. My job was, well, just a regular nine to five. I was working as a senior financial analyst for DHL Brussels. I was doing forecasts, budgets, costing and financial reporting. Fun stuff, isn't it? I was glad, it was way more relaxed than working for PwC. Exactly what I was looking for, although a bit... boring. One curious thing; as soon as I started my new job, all that extreme self confidence that I had felt during the interviews vanished. Of course, I did an excellent job, but I was not that same person. I wondered if my boss ever thought, "Is this the same guy I interviewed?" Lol. My love life was great. We had so many beautiful moments living together, taking care of each other. We found a flat in Hasselt and a year later we moved to another city, Leuven. We traveled frequently, within Belgium and around Europe, whenever we had the opportunity. For a while we were really happy, but as time passed by things started to get a bit difficult. Despite all the love that we had for each other, something was not working out. While I was still in Ecuador getting ready to go to Belgium, a friend asked me about my girlfriend's star sign. My friend knows a lot about astrology, so when she found out about my gf star sign she was a bit surprised; and not in a good way. She tried to warn me that it was not a good match. I could sense that was coming, so I didn't let her tell me anything. I chose not to receive her advice. I didn't want any unconscious fears, or other people's suggestions, to get on the way of our relationship. I was committed to do everything I could to make it work. Later on, before leaving Ecuador, another friend gave me as a farewell gift an astrological chart reading. The astrologer also tried to warn me, but again I refused to listen. I thought love would overcome any obstacles, even the influence of the stars. Unfortunately I was mistaken. At the end the stars overpowered love. As time passed by, the reality became very clear. Although we loved each other deeply we were not really compatible. Not only we had big cultural and temperamental differences that we were not able to overcome, but even our core interests and beliefs were different. Knowing how magical our story was, and knowing everything that we had done and achieved to be together, this was really difficult to accept; for both of us. Eventually, after two years living together in Belgium, we decided that the best for both of us was to break up. It was a very tough decision, but it was the right decision. Well, it actually took me more than a year of questionings and doubts to fully realize this. It was also difficult for me to leave her family circle. Her parents, her sisters, her brother and even her brother in law; they had all received me with open arms. I felt very welcomed right from the moment that I'd arrived in Belgium. I might have not become very close with her friends, but with her family was another story. I really felt like if they were my own family abroad. After the break up, now that I was single again, I wondered what I was supposed to do next. I needed to move out and find a new flat, and I was also fed up with my work. You know, I had found that job only to be able to move to Belgium and live with my girlfriend. Now that I was single there seemed to be not much purpose to continue with it. I thought this could be the right time to leave Belgium and go back to India, but something told me to stay a bit longer, and save more money. I moved from Leuven to Brussels. That was the best decision ever. All my friends were living in Brussels so I had a really good time there. Exactly what I needed after a break up. The environment at the office was not that pleasant. People were being laid off. Not only DHL was moving the headquarters from Brussels to Leipzig, but we were also in the middle of the financial crisis of 2010. All the "experts" in the media were recommending that this is the time to cling to your job. But I was doing the exact opposite. I felt that this was the time for me to finally quit my job and fulfilled what I had intended a few years earlier. I was ready to go back to India to study yoga. There was so much fear and desperation around me at that time, but I was living in my own world. This was actually one of the best moments of my life. I was really excited (but also very stressed as you'll find out soon). By the time that I quit my job exactly three years had passed! I was surprised. I know, this is what I had intended the moment I signed the contract, but I didn't really plan it. I didn't wrote on my journal, or on a calendar, the date that I should quit. It simply happened. This is it, this is the story that I actually wanted to share with you since I wrote that first blog post a few months ago. But as I started writing, the story became longer and longer. At the end, what was supposed to be one blog post became eight blogs! I had to write all this to give context to this story. I quit my job in Ecuador as a financial auditor at PricewaterhouseCoopers to travel to the other side of the world. It had nothing to do with money, but all about valuing my precious time and having an international experience. Later on I quit my internship in Mumbai where I was working for one of the largest IT companies in India, TCS. I didn't really care about the job, I just wanted to stay in India. That internship was my ticket to go to India, but before my work visa was over I wanted to have the time to do what I really wanted to do. I wanted to travel around visiting ashrams and holy places. After India a love story brought me to Belgium. I found a really good job to be able to move with my girlfriend and stay in Belgium. But three years later I quit once more to do what I really wanted to do: to return to India to study and practice yoga. The theme is always the same for me. Money, or a safe steady job, has never been my motivation to do anything. I have a commitment to listen and honor my heart, no matter how scary or difficult that journey might be. This is why I have left comfort and security behind, more than once. But believe me, sometimes it is not really easy to follow your heart. Quitting my job in Ecuador and quitting my job in India was an easy choice. But quitting my job in Belgium was by far the toughest decision ever. You see, although this is something that I knew I had to do and that I knew I was going to do, when the moment came all of a sudden I had lots of fears. I experienced lots of self doubts and insecurities. I was about to give up a dream life. "Am I being immature or simply a fool by doing this?" I asked myself many times. For somebody coming from Latin America, to have a residency and a stable job in a European country is like a dream come true. But I was going to give all that up to follow a different dream. And I did enjoy my life in Belgium. Actually, I love Europe. You can tell by watching my latest Berlin vlog. So it was not that I wanted to leave for the sake of leaving, but rather I wanted to do what I knew I had to do. That's why I spent hours making phone calls and visiting the city hall to try to figure out if I could get the permanent residency before leaving. It was not easy but at the end I got my answer: I had to wait two more years to get the permanent residency! I knew right away that that was not an option for me. Anything could have happened in those two years. I couldn't allow job security and a comfortable life to deprive me from taking the risks I had to take, and from venturing once more into the unknown. This was the time to do it! It might sound very brave, but believe me, I was very stressed. On top of that I had to take care of so many things before leaving. I had to sort out all the legal stuff and paper work. I had to find a new tenant, move out, pack and sell stuff. I also needed to do all the paperwork to get a student visa for India. Going through all this process got me so stressed I even started to have anxiety attacks. Seriously; I got many tests: brain scans, sleep tests and so on. Nothing was found so the neurologist concluded it must be anxiety. I had become an anxious yogi! Lol. By that time, my ability to live in the present moment, and all that self confidence and unmovable faith that I had experienced during my first trip to India, were gone. Having a "normal" life, working a nine to five and struggling with a relationship had taken their tall on me. Add to this all the stress and anxiety of giving up my good old life... I felt as if I had lost my powers. I was once more just another mortal. Like I said before, sometimes it's not really easy to follow your heart. Right after quitting my job in Belgium I sent my family an email. I titled it "Buenas Noticias," or "Good News." It was of course good news for me because I had quit my job to follow my dream, but it was not good news for my parents. They were not happy at all with my decision. There was not much they could do though. 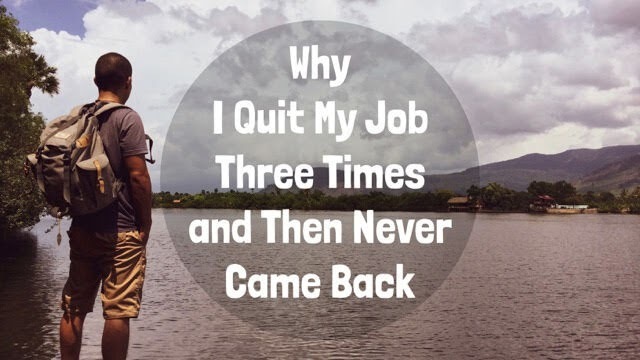 I had already quit my job. All my plans were already made. I was doing this no matter what. They had no other option but to accept my choice. Had I shared with them my plans before I had quit my job, they would have done everything they could to make me desist of my idea, and rather ask me to stay in Belgium. I couldn't allow other people's fears and beliefs, even of my own family, to influence me in anyway. I had enough fears of my own to deal with. It might seem a bit heartless not to have shared my plans with them earlier, but I know it was the right thing to do. What do you think? Today we laugh about the title of that email. It has taken them several years to be at peace with my choices... sort of. Lol. "You can't connect the dots looking forwards. You can only connect the dots looking backwards. So you have to trust that the dots will somehow connect in your future." Steve Jobs. Looking back in time, it all makes sense. You might recall this. I met my girlfriend in Kovalam Beach, right after I had told myself that I was somehow going to return to India. Feels like that intention put in motion the forces of the universe. Maybe this was the reason we met. Although our beautiful love story didn't last very long, it was that relationship, and not money, what motivated me to look for a job in Belgium. 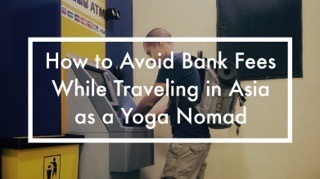 I never imagined that this job was going to give me all the savings I needed to travel back to India and to pay for all the yoga trainings I wanted to do. But it even goes further back in time. I told you before that I didn't like working as an auditor for PricewaterhouseCoopers (PwC). Well, it was mainly that work experience what gave my CV some value. If it wasn't for it I might have never gotten that job at DHL Brussels. I might have actually not even gotten that internship in India! And here is something that still astonishes me. Two of my closest friends who I met during my first trip to India in 2006, Alex and Xavier, also ended up in Belgium. You might have seen Xavier in my latest vlog. Even a friend and colleague from Ecuador, Marielisa, who also worked in PwC, ended up in Belgium. Not only that, it was Xavier who told me that Marielisa was in Belgium. Yeah, they were both working at PwC in Brussels. He asked her, "Do you by any chance know Marco Pino?" And she answered, "Yes!." Before meeting my girlfriend I had never heard of Belgium. Now, not only I had moved there, but three of my friends had also moved to Belgium. It was thanks to them that I had a social life. All the wonderful friends I met in Belgium, I met through them. Without Xavier, Alex and Marielisa my experience living in Belgium would have been completely different. It really feels as if it was all meant to happen. Everything was beautifully orchestrated so that I can have this experience. My intentions seems to be not even my intentions anymore. Perhaps it was all simply meant to be. I discovered blogging on my first trip to India. I started a personal blog to share my experiences with my family and friends. So I knew already since 2006 that I was going to start another blog. I wanted to share with the world everything that I was going to do. I wanted to share my path to yoga. My very first entry on my new blog was on April 2010. That was during my last month working for DHL. I wrote a book review of one of my favorite yoga books: Taming the Kundalini by Swami Satyananda Saraswati. So this is the point where everything connects! From then on everything that I have done since I quit my job I have shared in my blog. You have a lot of reading to do. Lol. One of the first things I did after quitting my job was to go to Poland. Right after I did the "Camino de Santiago." That's the famous pilgrimage in Spain. It was an incredible experience, a 1000 Km walking meditation. You have to try it! And after this pilgrimage I took a flight to India. At last! I arrived the 2nd of August 2010, ready to do all sort of yoga trainings. What a journey! I hope you've enjoyed reading my stories. Did you find any inspiration, or are there any lessons that you can take from them? Have you had a similar journey? Feel free to share your thoughts in comments section below. And don't forget to subscribe by email. On my next update I will take you even further back in time to answer a question that I get asked often in yoga retreats. How and when did I get started on my spiritual path. Hello Macro, since last 6 months i have entered into a new relationship and suddenly i started feeling all insecurities about keeping up with my relationship which is all going good. And not to forget that I am quite much aspiring yogi and Chartered Accountant. 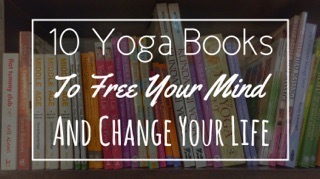 I feel so much connected with your story in terms of my personal life, yoga & a career. While reading your blog, at the beginning, it all looked very scary that all what big decisions you had taken in life is getting broken. However,as you said, life is connecting dots and you can only look back and connect it to what all is happening. The point is always to trust your journey. I was always fearful thinking what if i suddenly find my soul mate incompatible after few years of relationship. Since i am aspiring yogi, i have come to a state where i have not been able to keep up with my practice of yoga so religiously. Since my love in normal layman i have a kind of insecurity if i will be able to keep up with yoga. Or will i ever be able to get back to the yoga while maintaining the same love life with my husband to be. You know it is like following particularity with materialism of the life. Reading your story, I just would like to believe whatever happens, it all happens for a good reason. So leave fearlessly and your journey is destined. Macro I need your perspective on the same as i don't want to think that i may ever lose him, him being all good, loving and caring (as you say Star overpowers love sometimes!). And that how shall i continue or get back to my journey of yoga while being in love with him? Do i need to leave the love life, family and world to pursue the path of yoga? Hello Sejal! You definitely don't need to leave your love life, family and the world to pursue the path of yoga. Remember, there is karma and bhakti yoga, ideal paths for householders. But even raja is good. 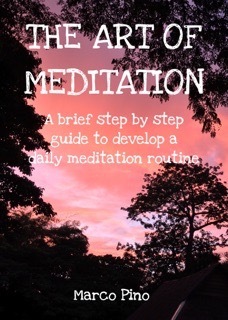 You just need to find the right time to do your meditation, or whatever practices you do. When the world is sleeping you are awake doing your sadhana. That's how it goes. It doesn't matter if your partner is not into yoga. Of course that would be nice, but ultimately it is a personal path. Give him the freedom to be whomever he wants to be, that is love! But also don't forget to give yourself the freedom to be who you want to be. It is not possible to tell if you'll stay together or not. Sure, you could consult an astrologer to get some advice, I know that's very common in India. But better focus on what you both have today, and let the relationship naturally evolve in what it needs to evolve. I hope this helps, and thank you for taking the time to read my blog. 😊🙏. Take care. Hooola acabo la lectura y lo que encuentro es un espejo frente a mi y en mis inicios con Ayurveda regreso atrás y me encuentro con una asignación de PwC en 3M Ecuador con uno de los seniors más interesantes que conocí en mi paso por la profesión y hay cosas que no cambian cuando vemos desde el corazón. Me encantó y me leí todos eheeheheh jejejejeje un gran abrazo y espero verte pronto. Una Yogui en el mismo estado de ansiedad de Tu época en Bélgica. Right now I'm in Mysore, on the south of India, practicing pranayama and asanas. Will be here for three more months, after that no idea :-) but you'll find out once I update my blog. Thanks for taking the time to read.